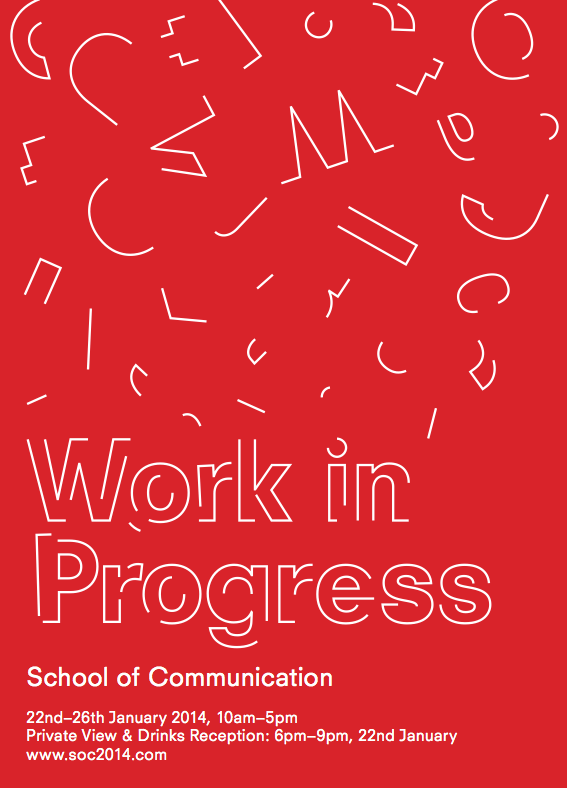 This is the identity for the Work-In-Progress show held in January 2014 by the School of Communication at the Royal College of Art, including works by students from Animation, Information Experience Design and Visual Communication. The exhibition was designed by Andrew Brash, Jonas Berthod and Kyuha Shim. The team designed a generative identity system which simultaneously completed and in-completed the visual identity of the exhibition. By using random number of lines, speed and direction, the concept of ‘un-expectancy’ revealed itself as the nature of creative process.